ANNECY: Warner Bros Animation (WBA) is set to produce multiple hours of new Looney Tunes shortform content, featuring characters such as Bugs Bunny, Daffy Duck and Porky Pig. Each cartoon will vary from one to six minutes in length and will be conceived and drawn by the cartoonists, allowing their own personality and style to come through, WBA said. 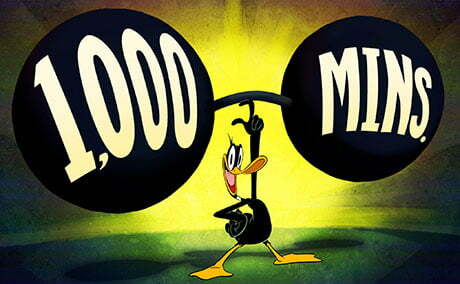 Looney Tunes Cartoons will be distributed across multiple platforms, including digital, mobile and broadcast, with each season totalling 1,000 minutes of content. WBA gave delegates here at the MIFA market in Annecy a sneak peek of the content with a short titled The Curse of the Monkey Bird. Looney Tunes Cartoons is produced by WBA and features veteran Looney Tunes voice cast members including Eric Bauza, Jeff Bergman and Bob Bergen. Register (Teen Titans Go!) and Peter Browngardt (Uncle Grandpa) serve as executive producers.